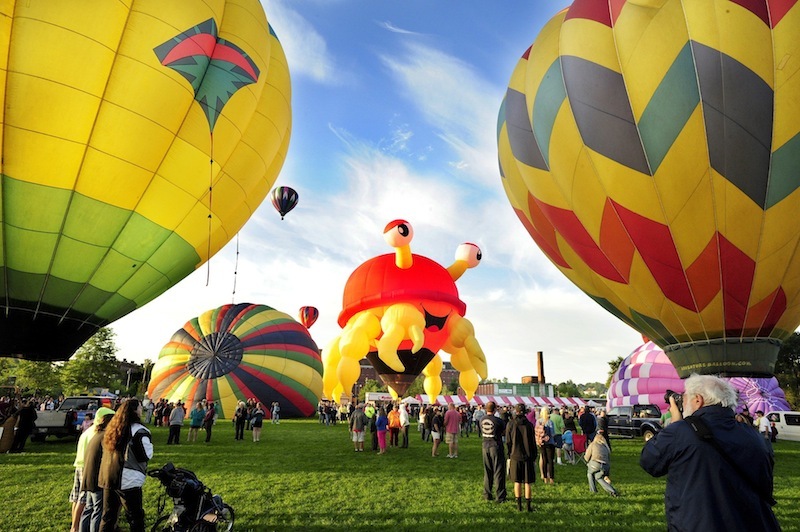 About 20 massive, colorful balloons took off from Lewiston's Simard-Payne Memorial Park on Friday to kick off the 21st Annual Great Falls Balloon Festival. 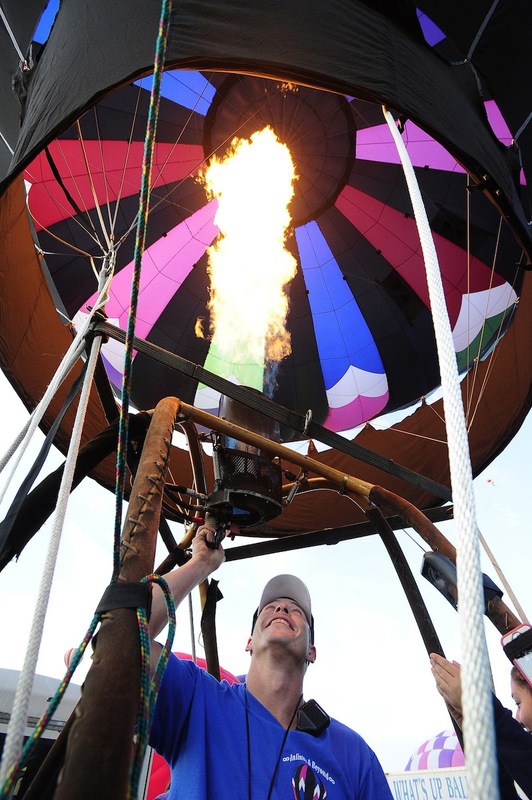 Twenty balloons took off from Lewiston’s Simard-Payne Memorial Park on Friday morning to kick off the 21st Annual Great Falls Balloon Festival. The annual festival runs through Sunday. 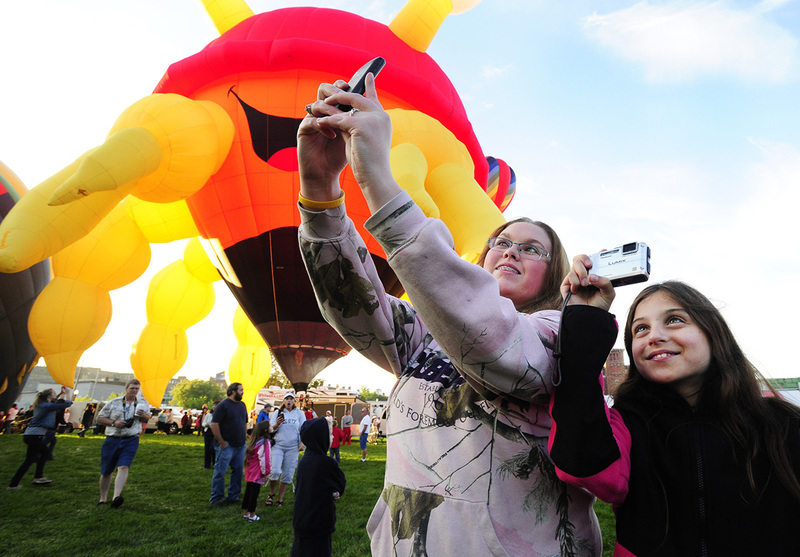 Katie Witham, 19, of Augusta, and her cousin, 10-year-old Adriana Ellis, of Farmingdale, take photos as the balloons first take off. 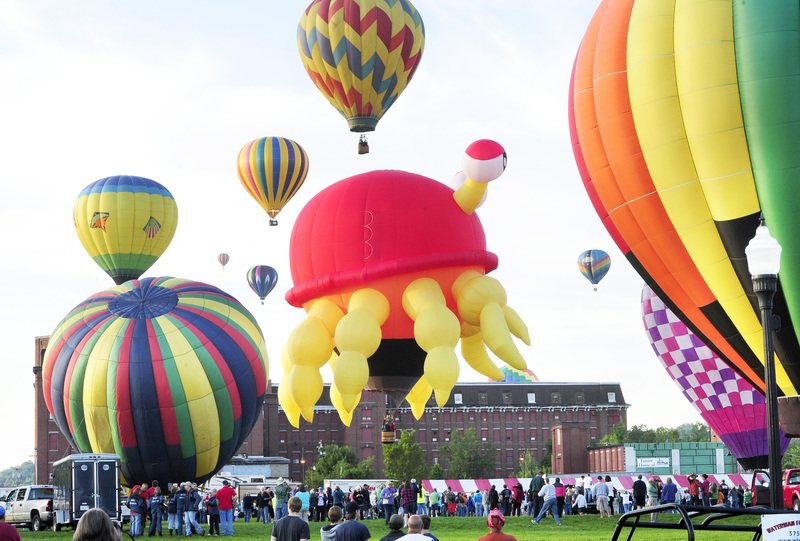 Balloons are scheduled to launch at 6 a.m. and 6 p.m. throughout the weekend festival. 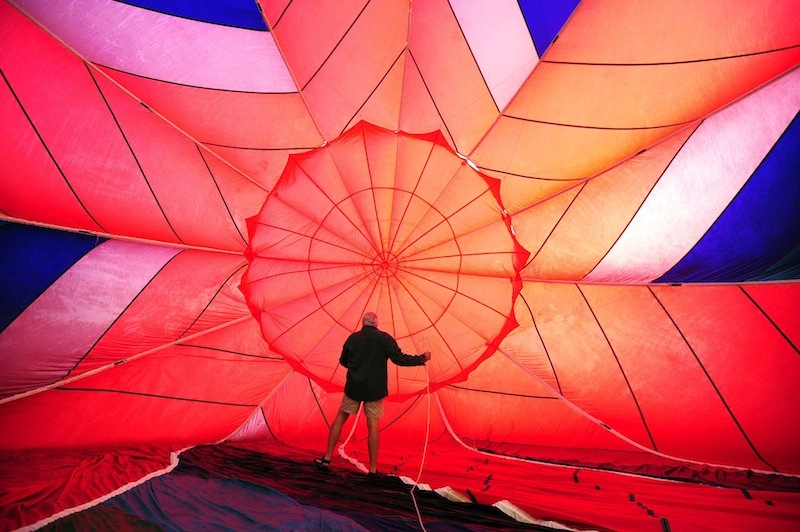 Joe Caputo from Pittston readies his balloon on Friday morning in Lewiston’s Simard-Payne Memorial Park. For the festival website, click here. 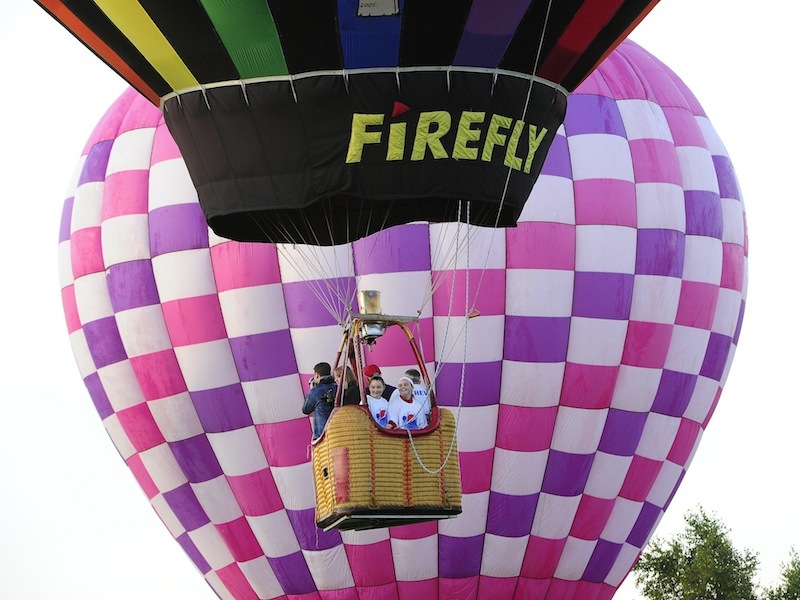 All smiles aboard the Firefly as 20 balloons took off from Lewiston’s Simard-Payne Memorial Park. 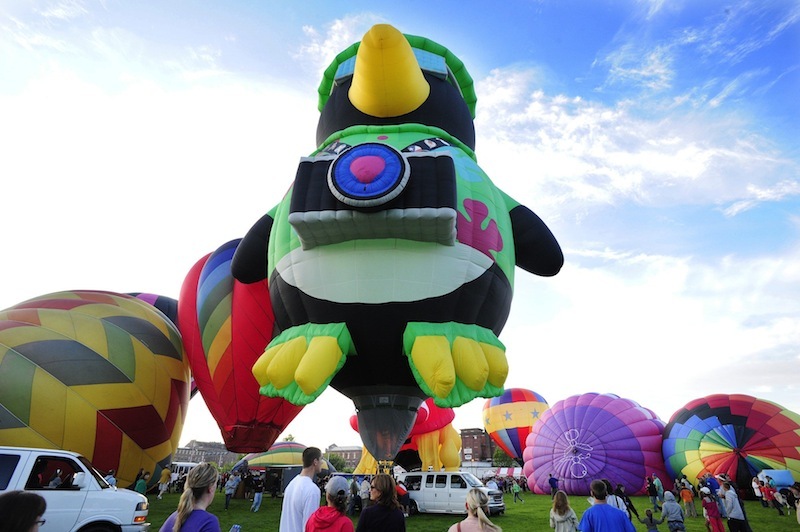 A large penguin was among the first of the 20 balloons to take off. Pilot Jason Boucher regulates his burner as he prepares to take off. One balloon was appropriately lobster-themed. 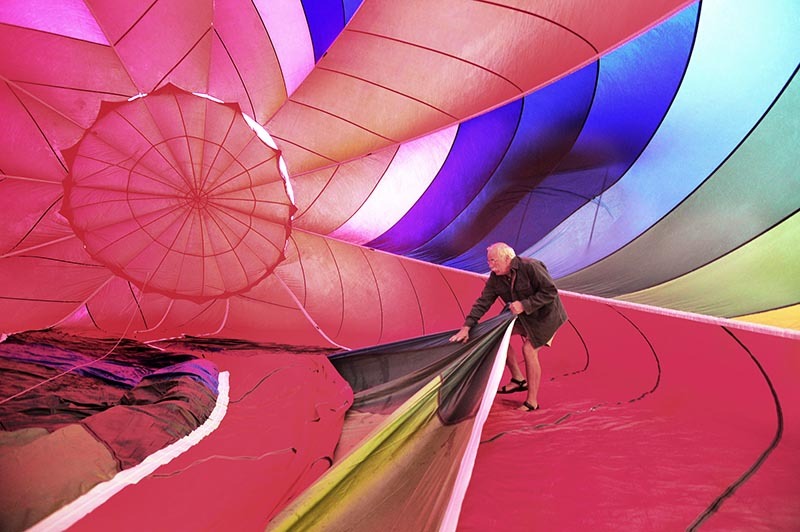 Pilot Joe Caputo does a last-minute check inside the envelope before he takes off at the festival’s outset.